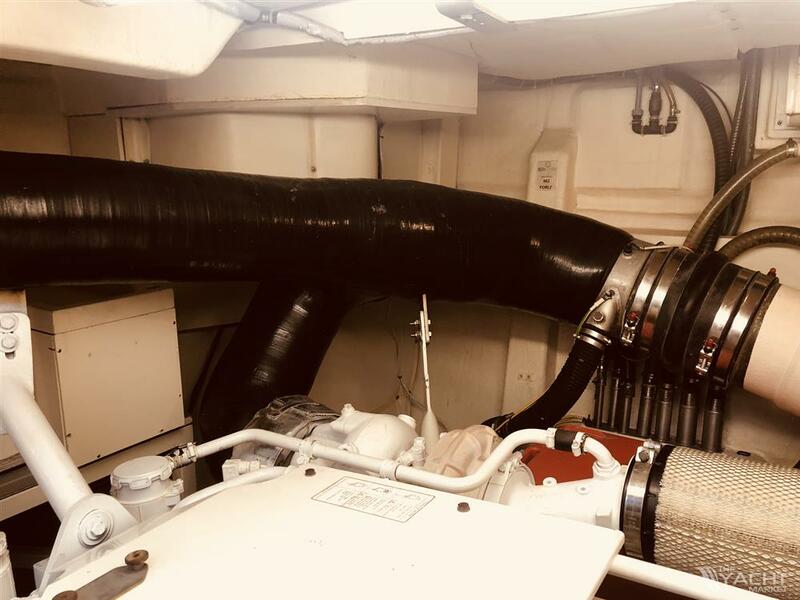 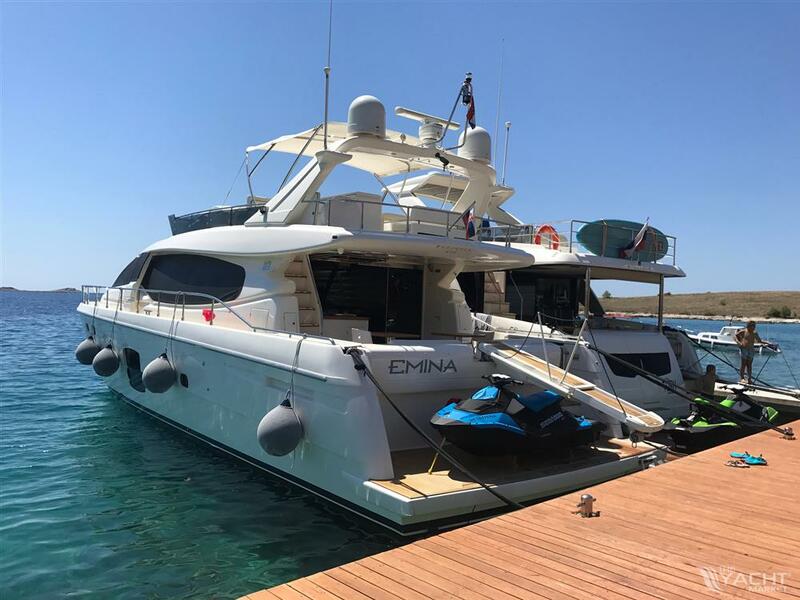 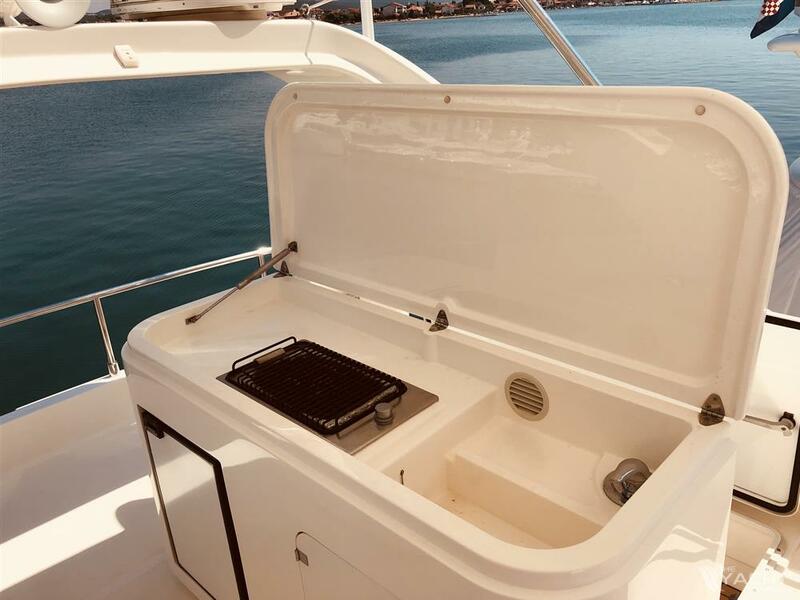 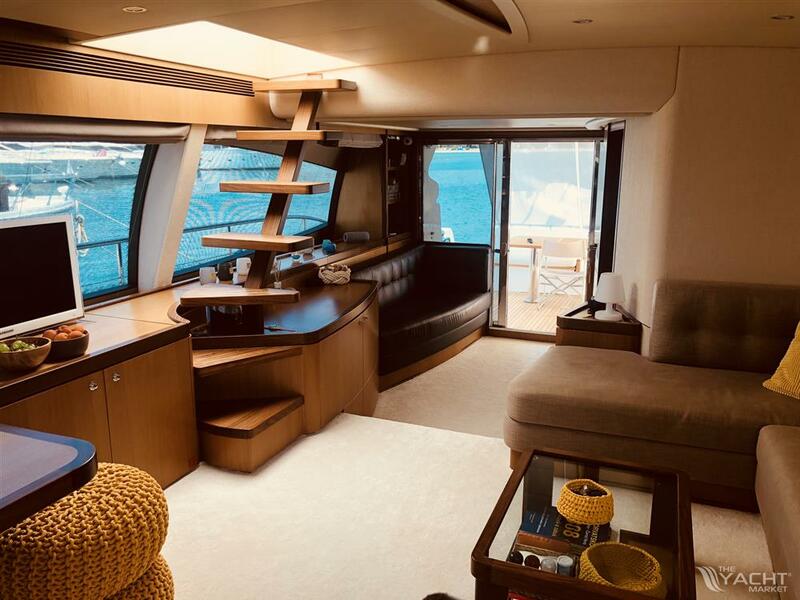 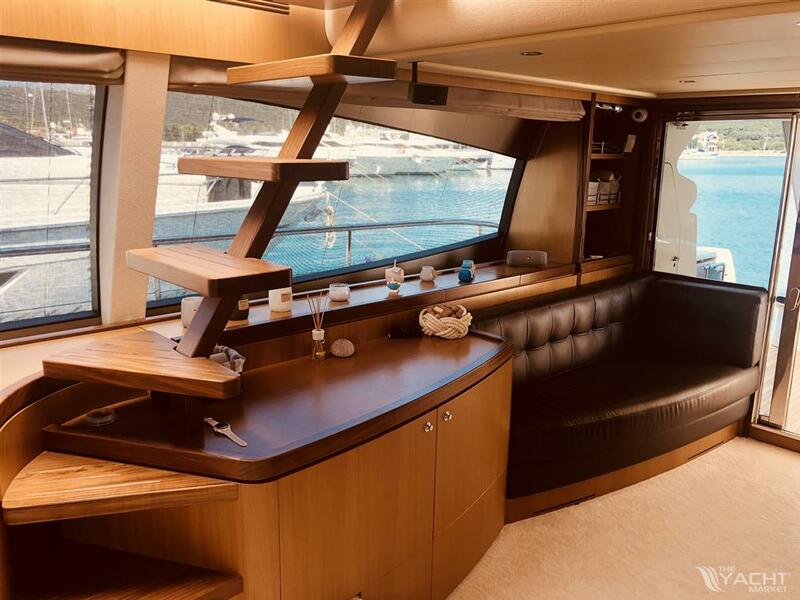 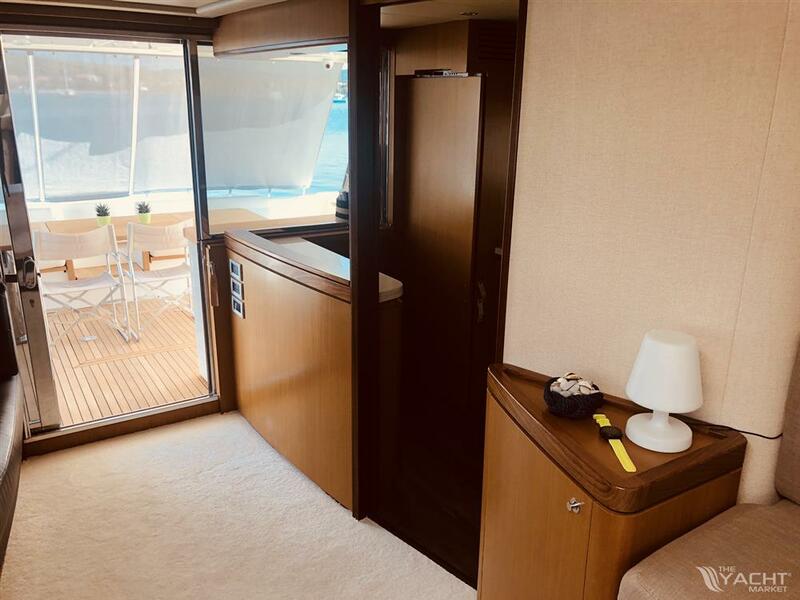 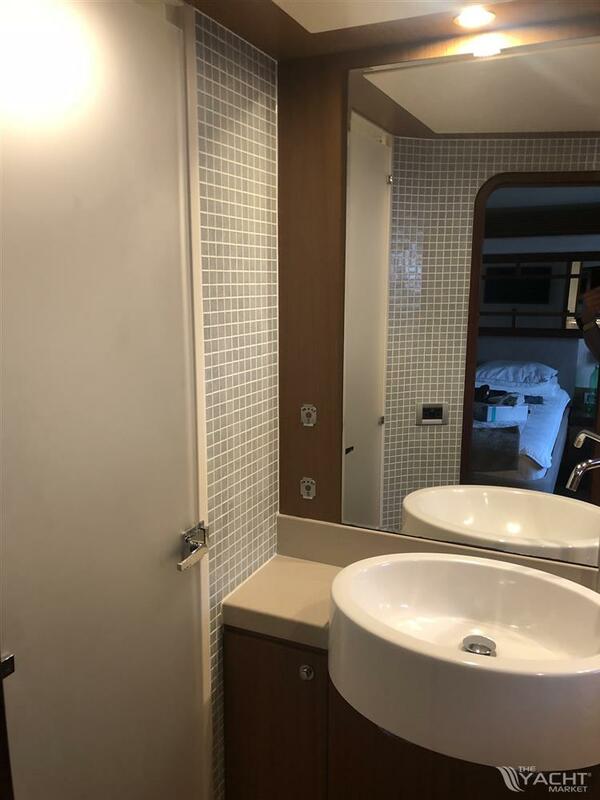 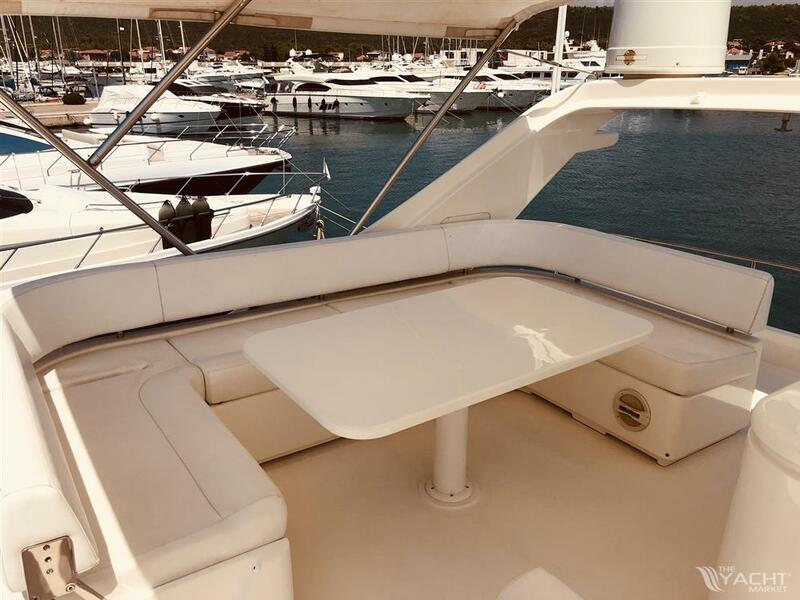 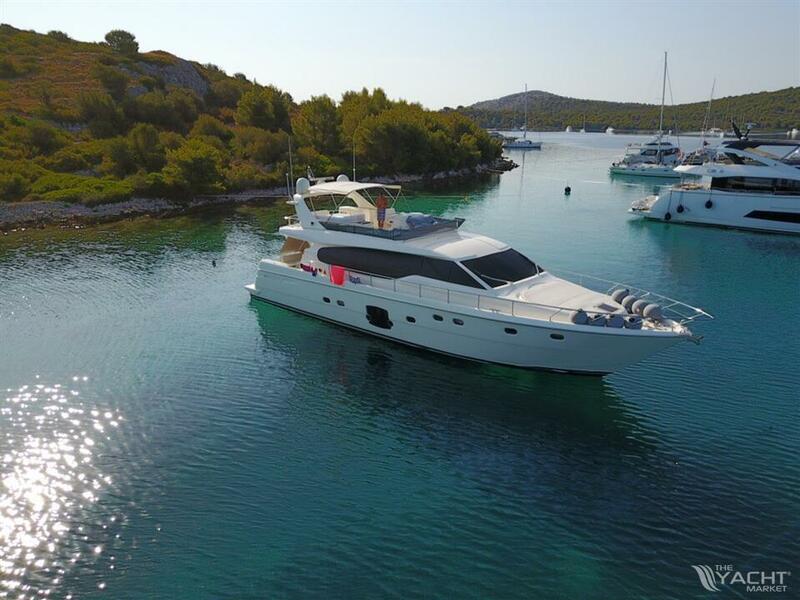 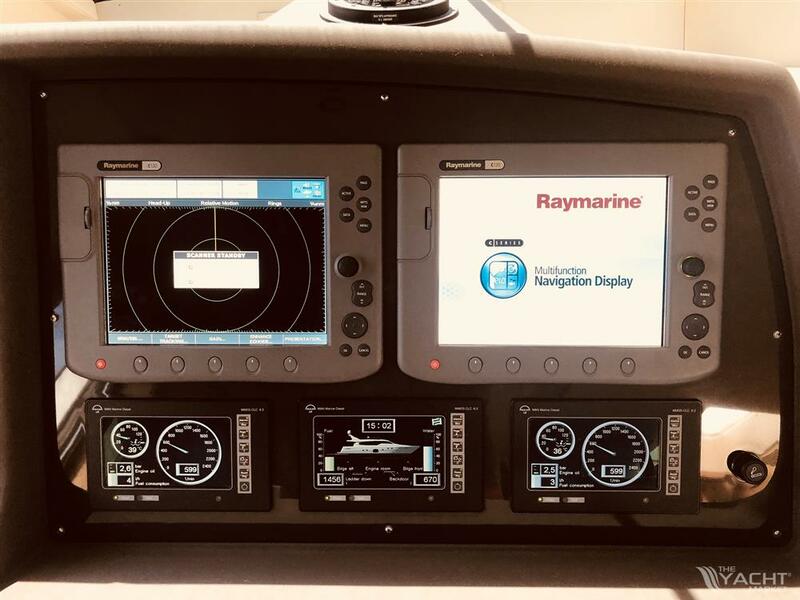 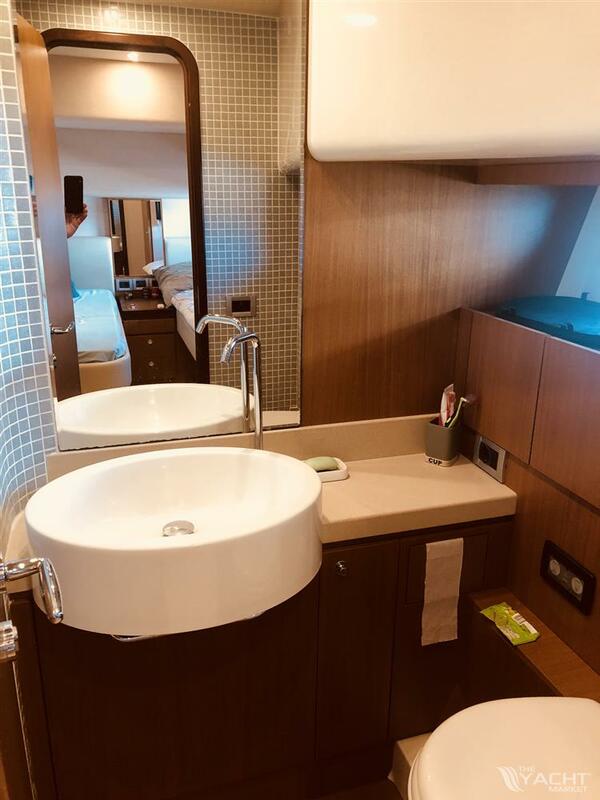 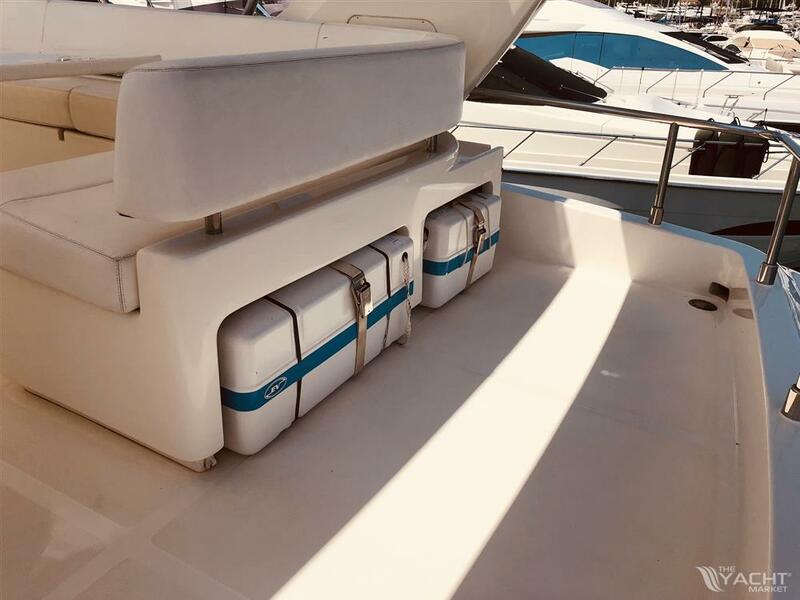 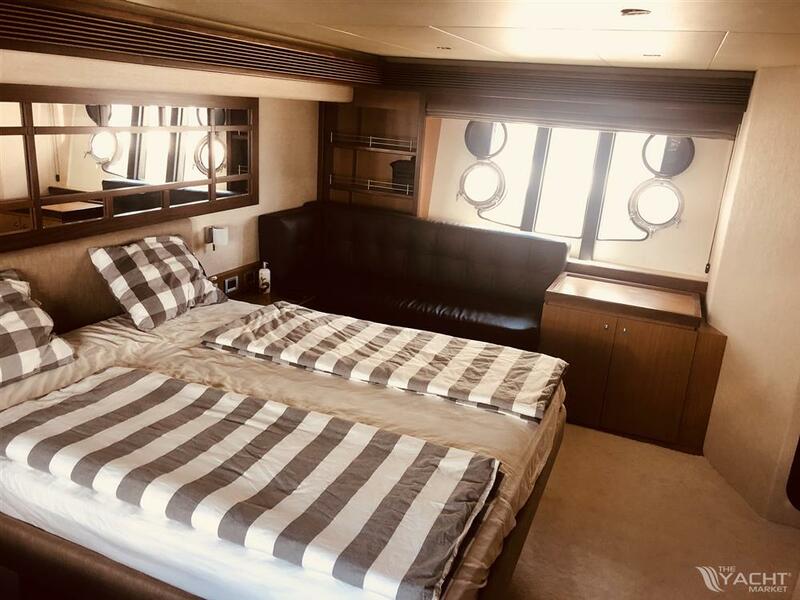 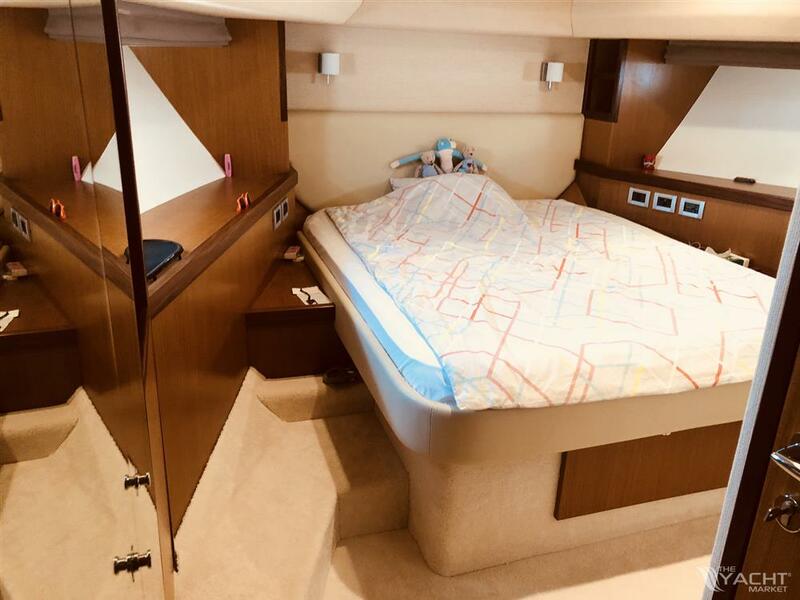 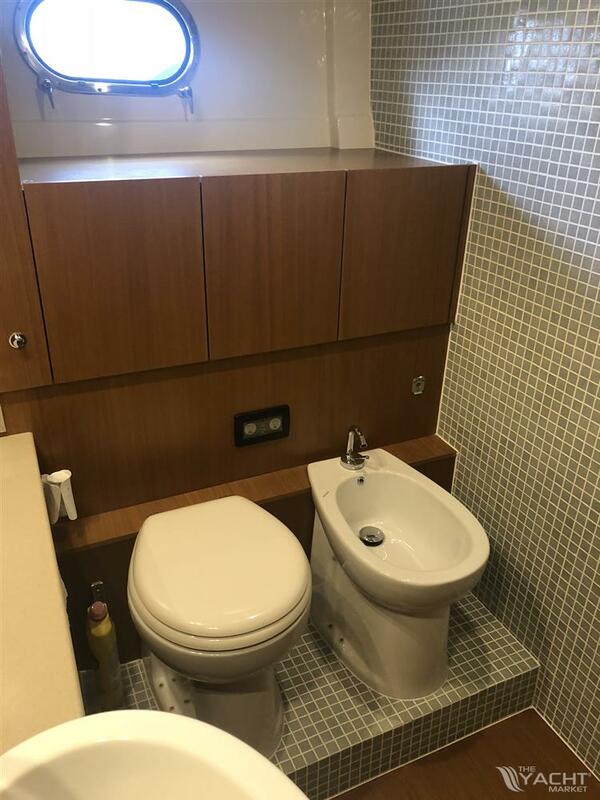 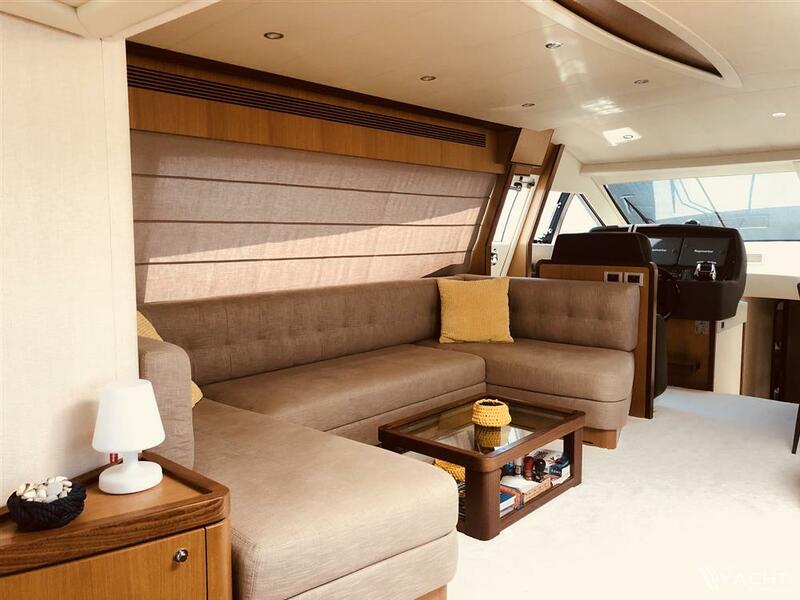 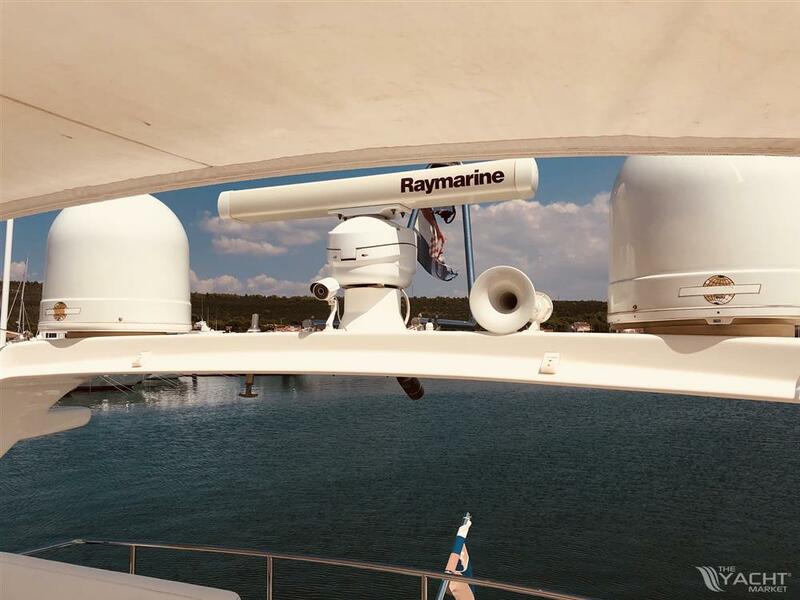 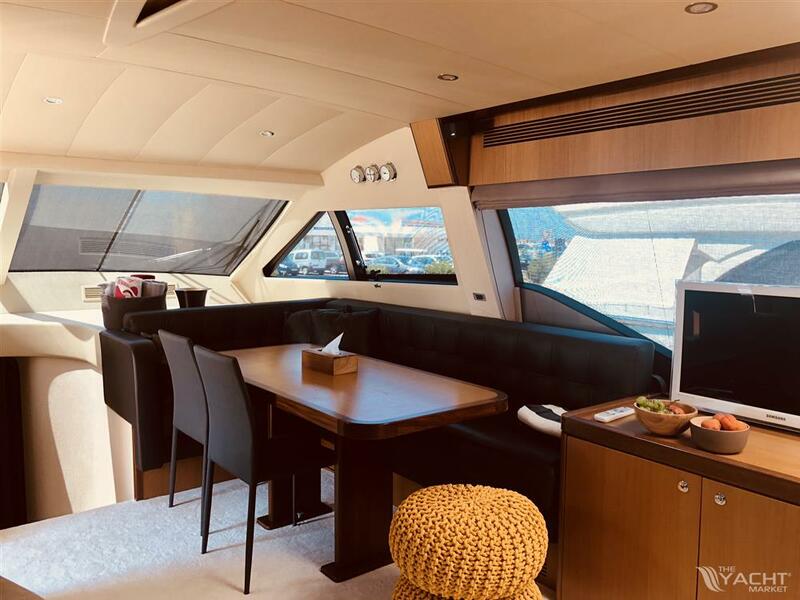 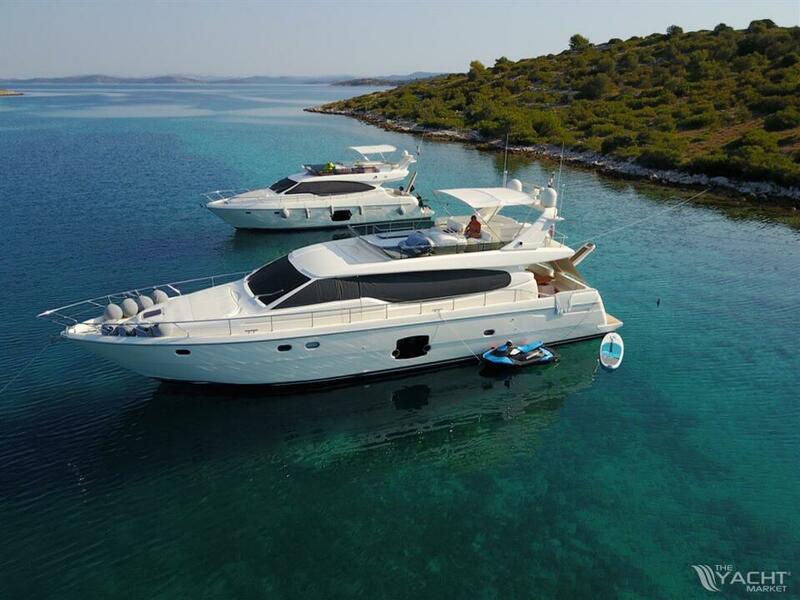 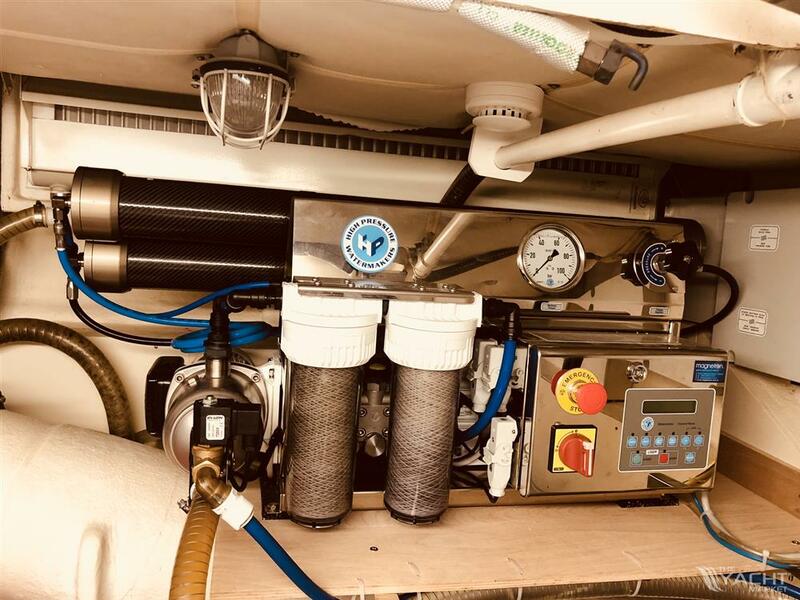 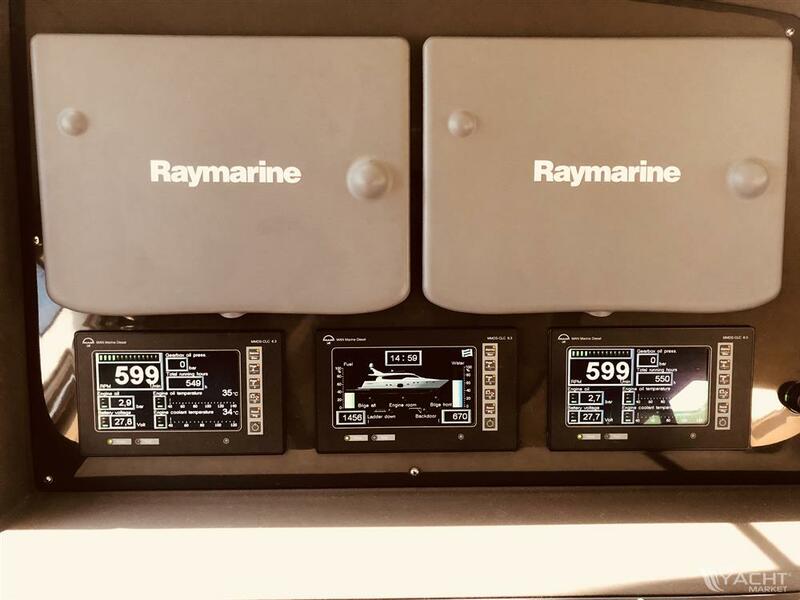 Ferretti 630 is a great yacht that offers many benefits: Galley in the aft, roomy saloon, big headroom, and 3 nice cabins each with own bathroom. 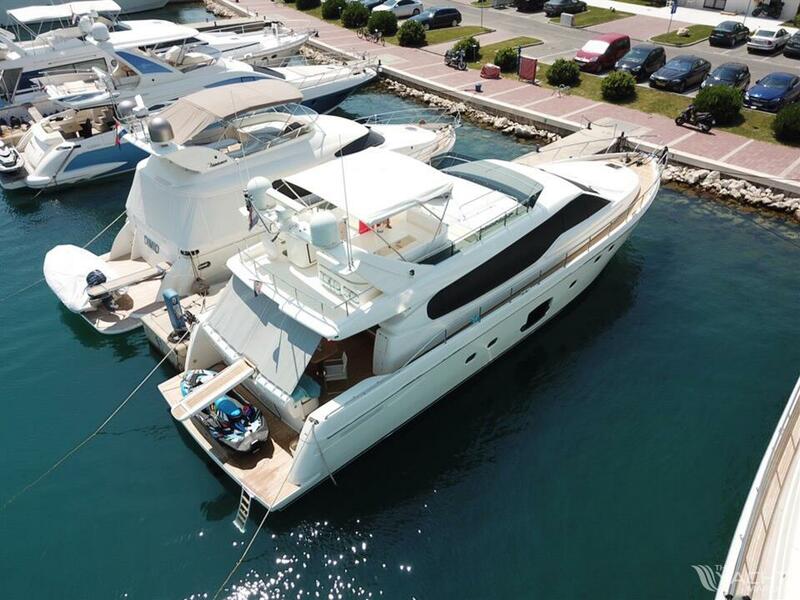 Perfect manoeuvring thanks to shape of her hull and shaft, very smooth move from displacement to planing. 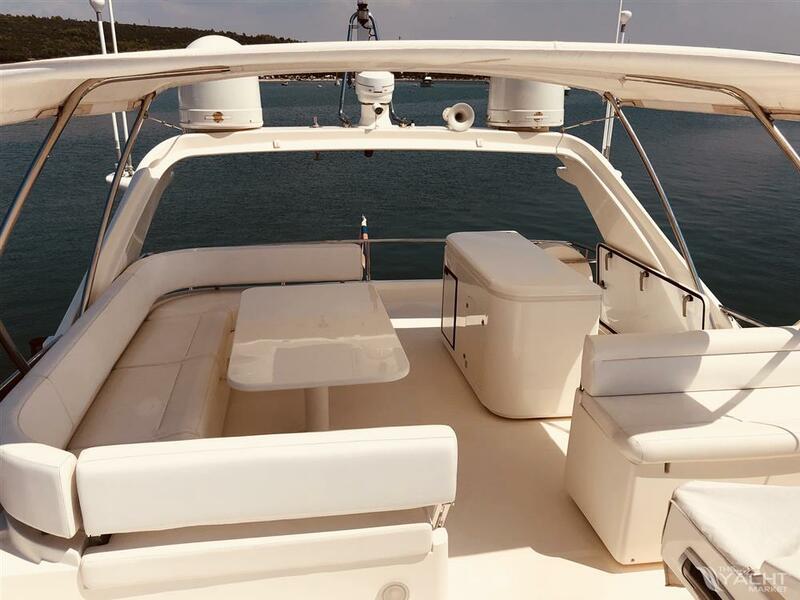 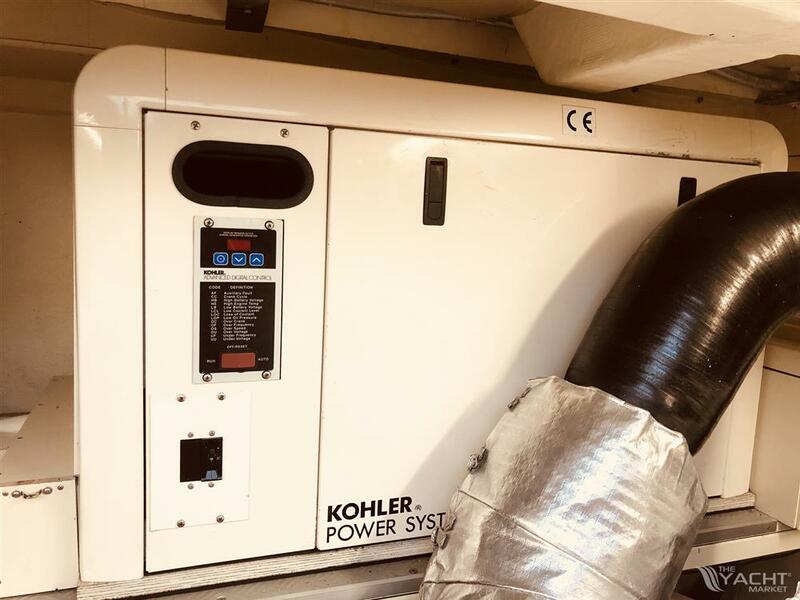 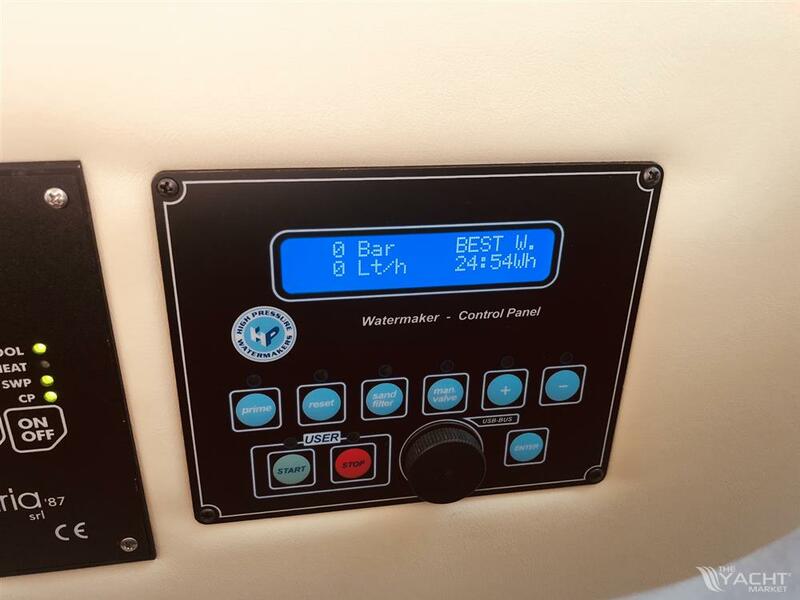 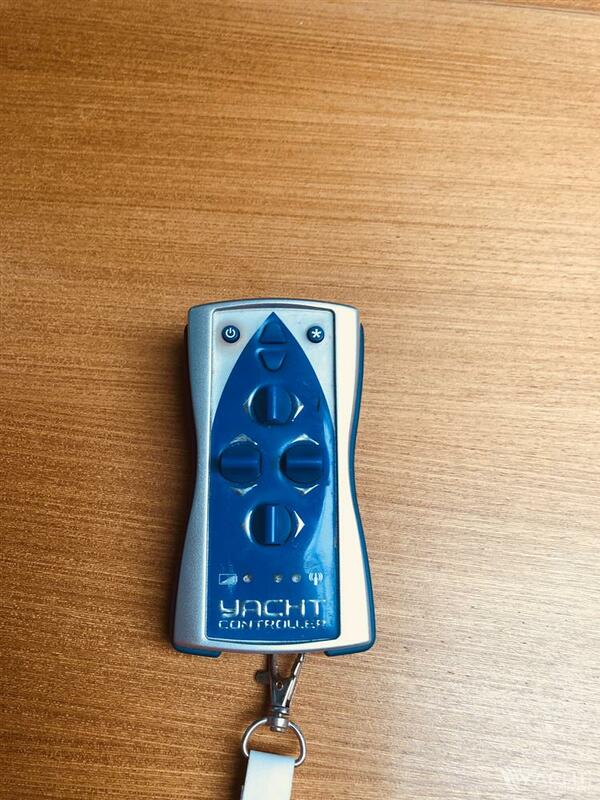 Boat is fitted with more powerful version of engines 1224 HP with common rail. 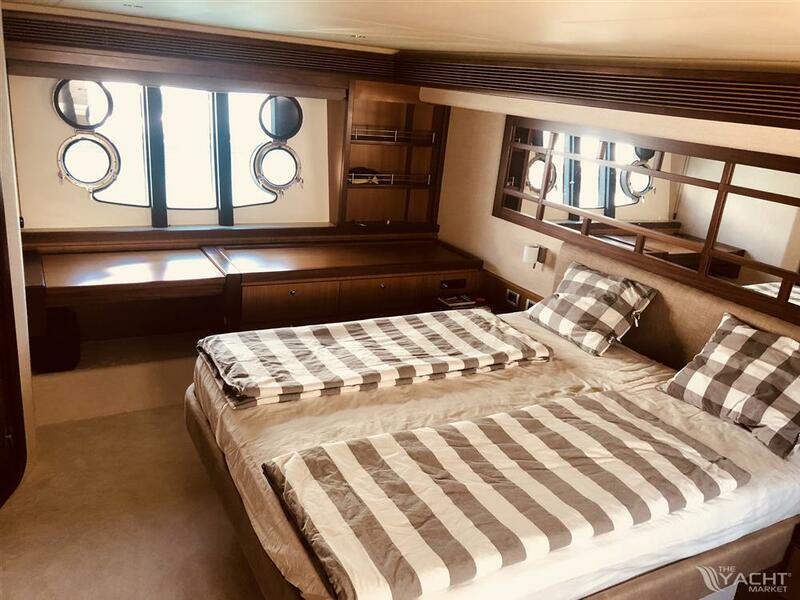 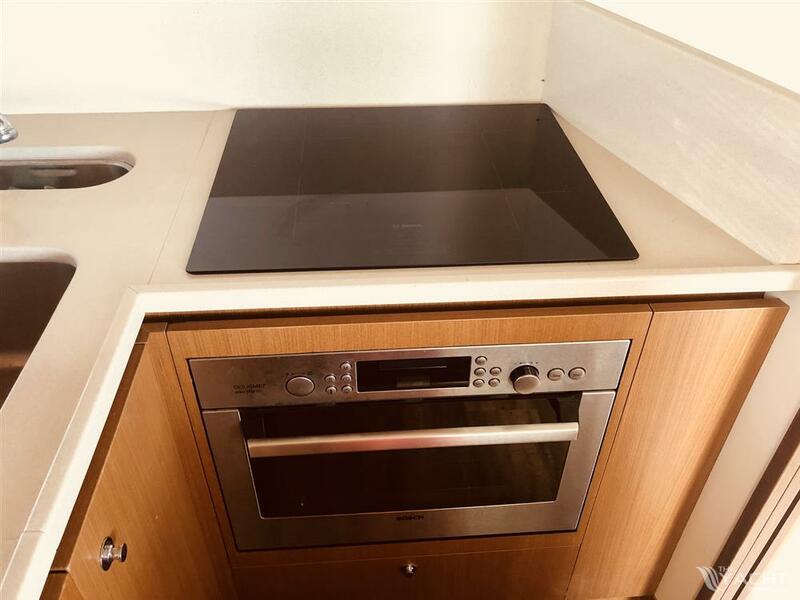 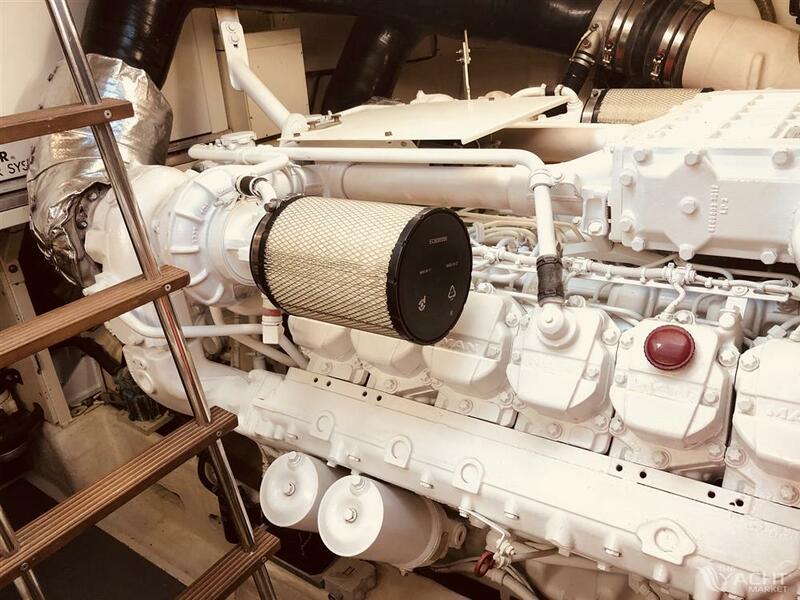 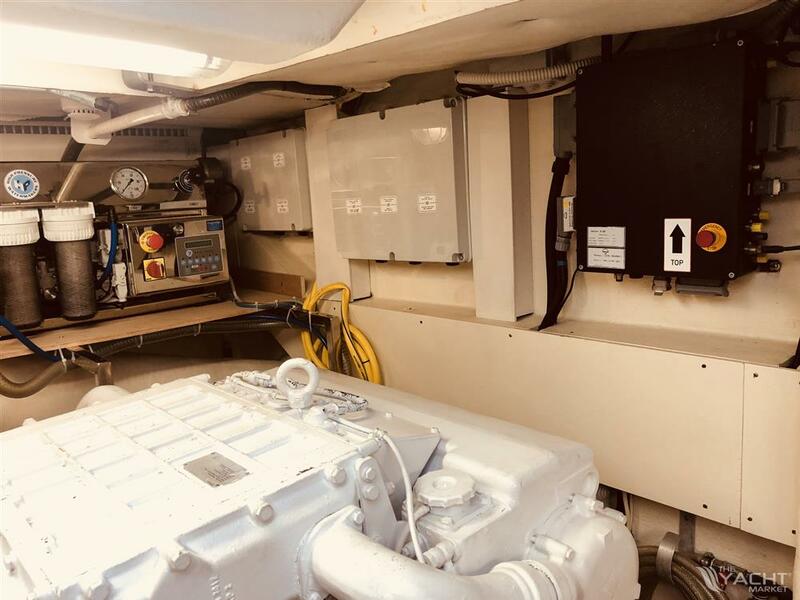 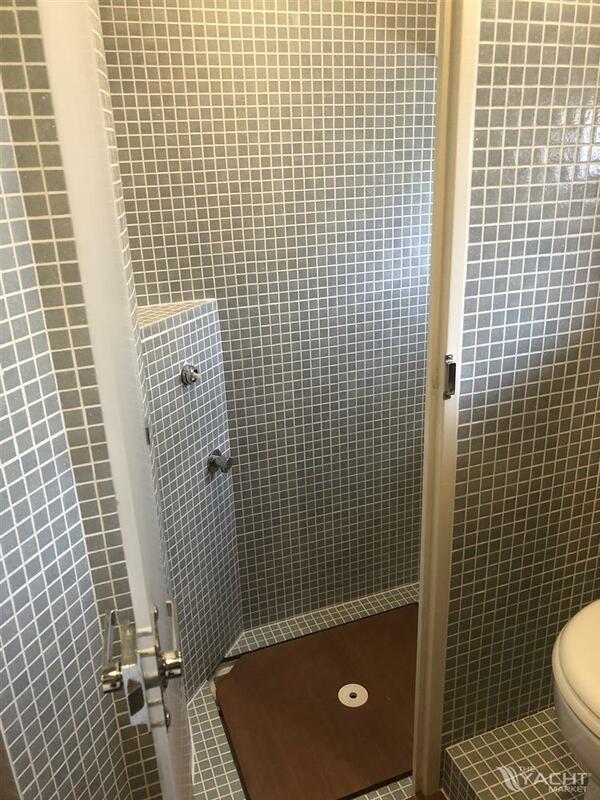 This 630 is partly refitted before season 2018, having new carpet in all areas, new dining stools, new roman blinds - white coffee shade, new galley appliances, teak deck on platform and side walkings, in all three bathroom is new ceramic mosaic, HP water maker etc.